The newest economic behemoth, China, is snatching market share from the U.S., Japan, and Europe at an alarming rate. But China isn’t alone. 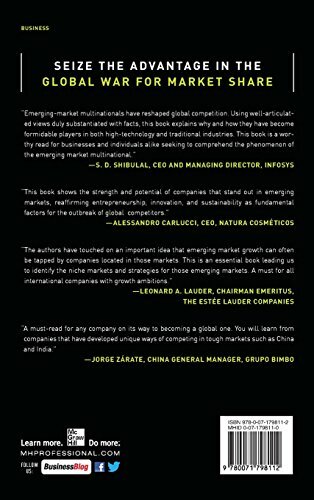 The world’s largest producers of biofuel, meat, consumer electronics, regional jets, baked goods, candy, and many other products are all emerging market multinationals (EMMs). And industries poised to be taken over by EMMs include personal computers, IT services, mining, wind turbines, and cement. The balance of power in the global economy is shifting. Are you in a position to compete with the most energetic, imaginative companies on the planet? You need to learn these new “best practices” now because tomorrow will be too late. 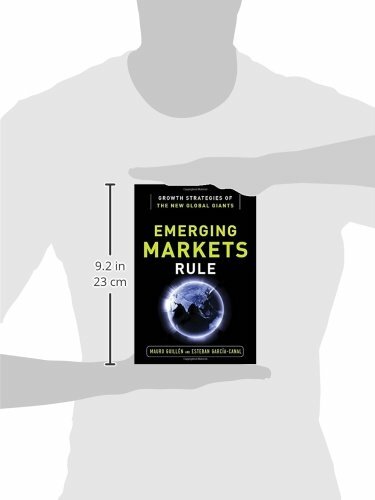 Emerging Markets Rule is your road map for business success in the increasingly competitive, chaotic global markets.